Apparently I don't take my own picture very often. This is actually about 2 years old, but I love this picture. It was taken at a meal theatre while on honeymoon with Jeffery. We just celebrated our second wedding anniversary last month. I am so blessed to have him and my children in my life. I have a ton of hobbies, which I guess helps to keep me sane as a stay at home Mom to Peyton (5) and Noah (1) [ ... and Jeff (35) hehehe]. Of course, I love digital scrapbooking, both designing and scrapbooking, but I als enjoy crochet and reading. I play the flute and piccolo, too. 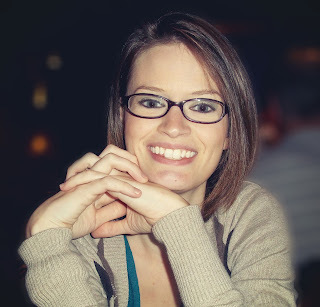 I do blog, but I'm not very good and keeping things up to date. If you want to check it out, visit me here. 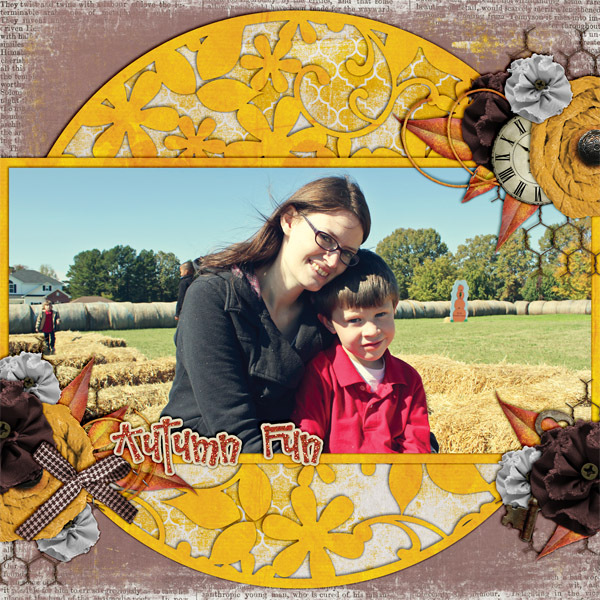 I have 2 main galleries that I use for my digital scrapbooking stuff. You can find the larger one here at Stuff to Scrap or check out my newest gallery here at ScrapMatters. When asked what my favorite layout is, I usually just think of the latest layout that I've made. You know how that is, right? The newest is always the new favorite around here. But I have to admit, I keep coming back to this layout that I made from a picture taken at Peyton's first field trip in Kindergarten. I just love the large photo and am really glad I choose to showcase it this way. It's really hard to hang out with just Peyton sometimes when I have Noah to look after, too, but I was really lucky to be able to go on this trip with him, just me and him. He was so excited to get to spend some Momma time. 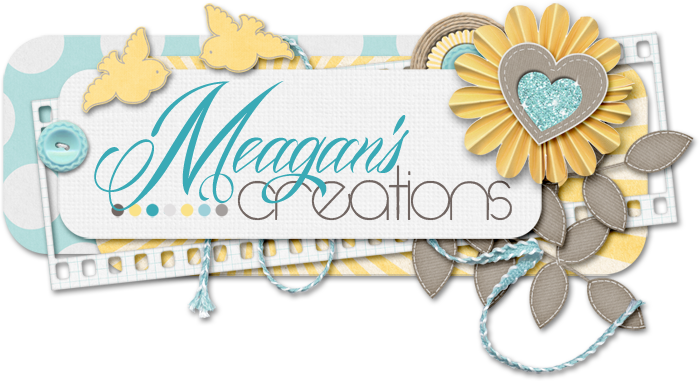 I also just love this template with the clusters and the floral die cut mat. When it comes to exotic or interesting places, I have to admit I'm somewhat of a homebody. I haven't been many places, but in college I went with out Campus Ministries team to the Dominican Republic. Fortunately I speak Spanish since during the trip over there we were stranded in Puerto Rico overnight. Eek! As a missionary we were teamed with a group of Christians there and so we got to knock around the less tourist friendly areas as well as getting a little sightseeing in. I was truly blessed to share such an important message with those we met there and humbled by all that I saw. 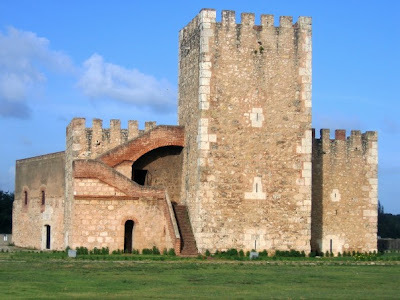 This beautiful ancient castle, the Fortaleza Ozama, is the oldest standing military fortification in the Americas. It was built in the 16th century by the Spanish when the Dominican Republic was still a Spanish Colony. This was part of the "pretty" part of the summer I was there. This is what the locals call "The Bottoms." 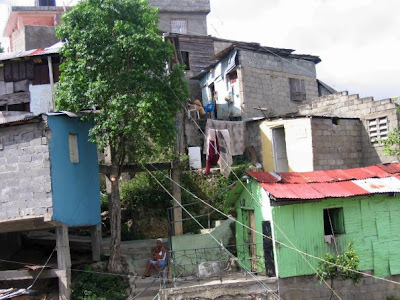 This and areas like this are build into the sides of hills so and along mountains so that houses can be stacked for more room. The average person lives here. How terribly humbling. I think I learned and experienced more during that summer trip that during the whole rest of my college experience. Random question ... One thing I can't live without? Umm, well, excluding God, my Bible, and my family (because, really, those are things that I really can't live without), I'd have to say (selfishly) my Nook Color. Jeffery bought it for me almost 2 years ago. It has my Bible, photos of my kids (and scrapbooked backgrounds! ), random but important files, crochet patterns, and a nearly inexhaustible supply of books. Seriously, I think it holds up to 10,000 and has everything from classic British and American literature, to Latin, to mythology, to random fan fiction for a little brain novocain. I love that thing! 1. Not all shadows are the same! Ribbons and buttons should have larger, darker shadows than something like a piece of paper. They stick up in real life more than papers, so they should seem to in digital scrapbooking, too, right? 2. Not all shadows have to be black. Try gray. Or maybe if your layout has warmer tones, try a brown instead. Experiment. Unlike paper scrapbooking, you can always "undo" if you don't like it. 3. Shadows aren't just one sided in real life, so layer your shadows. I go through and shadow everything in one direction first. Then I go back and make all the shadows on their own layers (in PS Layer > Layer Style > Create Layer). Then I go back to the element or paper and put a very light, very tight shadow on the opposite side. My main shadow is usually at about -44 degrees and my opposing shadow is usually at about 128 degrees and about half the opacity of the main shadow. 4. If you have ribbons or curly strings, make them look like they're jumping off the page. Put the main shadow on it's own layer and then manually warp it a tiny bit so that it appears more 3D (in PS Edit > Transform > Warp). I love to adjust my drop shadows to make my layouts more interesting. I think it adds just a little extra umph to make it that much more special. It might take a few more minutes to do, but in the end, I think it's really worth it.